Harry Chen stands in front of a Proactive Display demo. Harry's RFID tag was detected by the Proactive Display system. Knowing his identity, the application shows a picture that Harry has pre-defined on a close-by display. 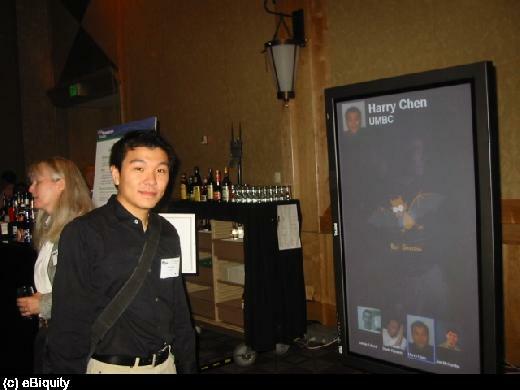 (Photo) Intel's Proactive Display Demo (UbiComp 2003) shows (Person) Harry Chen.